To the left is one of my flower holders -- the bowl part holds the water, the upright tubes hold a small assortment of cut flowers, and openings in the bottoms of the tubes allow the water to fill the tubes and keep the flowers fresh. 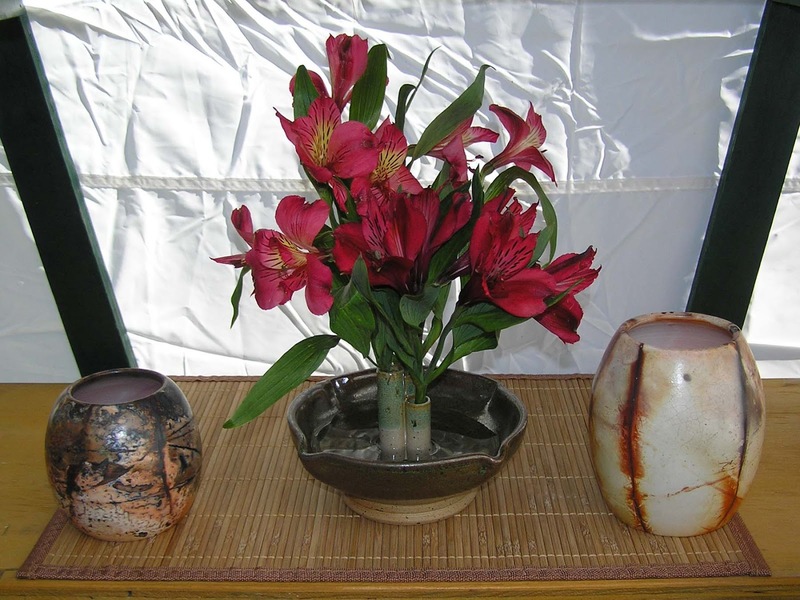 Pictured with the flower holder are two small saggar-fired pots. 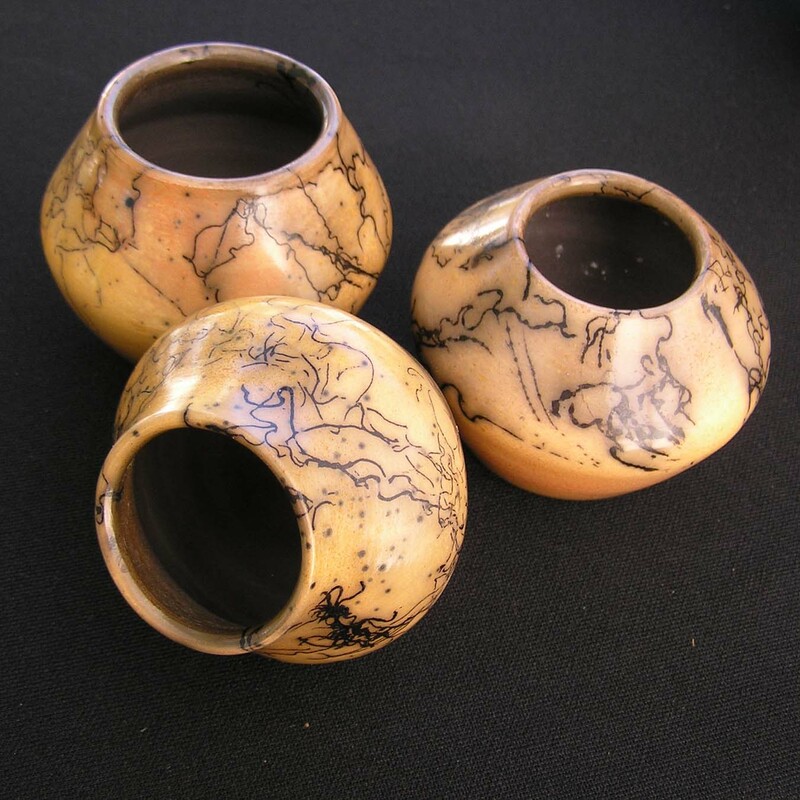 To the right are some of my miniature Pegasus series pots. 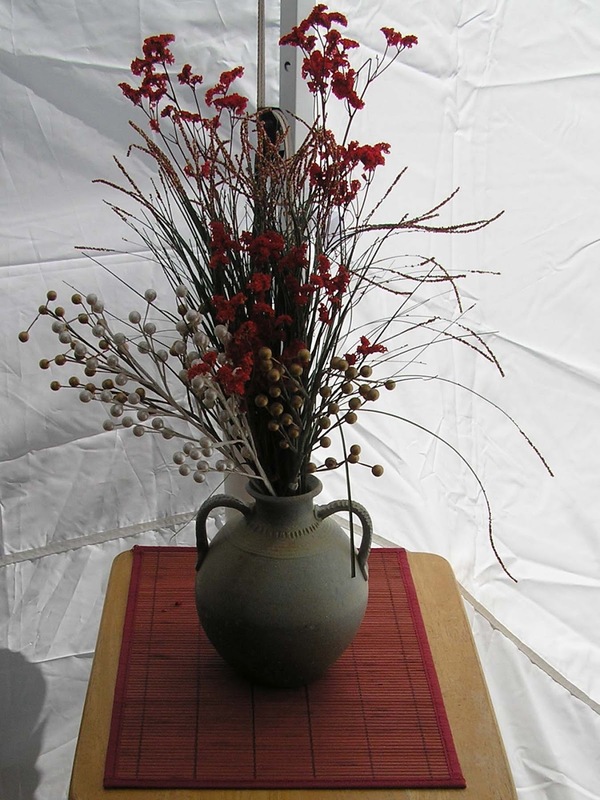 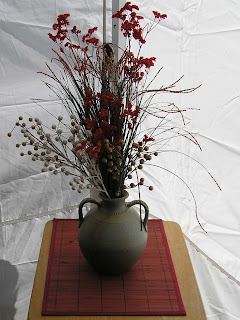 Below is an Anagama-kiln fired pot in a more classical style -- dressed up for the holidays.